Former NBC Nightly News anchor Tom Brokaw moderated a panel discussion on the current debate over firearm regulation at the Logan Center on Tuesday. 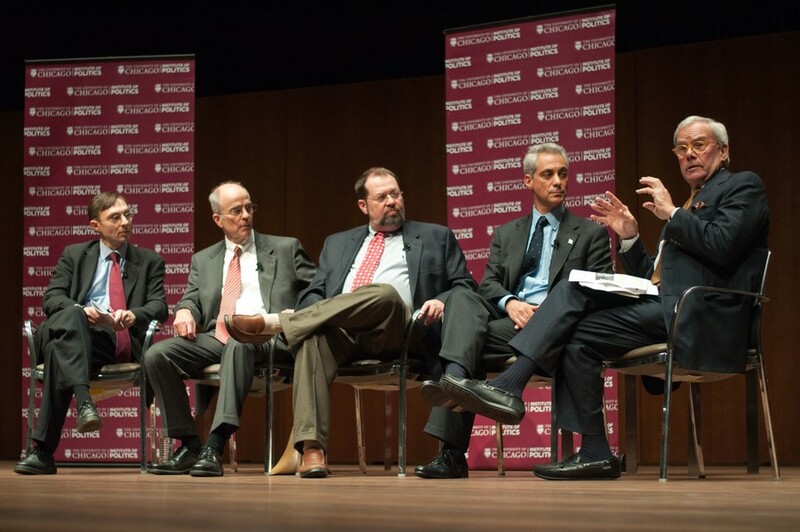 The panelists included Chicago Mayor Rahm Emanuel, former Republican Congressman Steve Latourette, Director of the University of Chicago Crime Lab Jens Ludwig, and Chicago Tribune columnist Steve Chapman. Because the timing of the panel coincided with the announcement of President Obama’s gun control plan, Brokaw checked his cell phone in order to discover the gun control policies as they were released. After he retrieved the information, he then led the panelists in a discussion of the measures. Emanuel predicted that the political energy for firearms regulation reforms generated by the Newtown shooting could not be relied on for legislative success. Ludwig pointed out that national regulation is important in this issue because of the porous nature of state borders that make state level regulations ineffective. He also disputed beliefs that violence in the United States is caused by violent video games and movies, citing studies that indicate that gun crimes decrease immediately following the release of violent video games. According to Ludwig, the reason for America’s high homicide rate compared to other nations is that guns are more deadly than knives, a weapon used more often by citizens of countries with stricter gun restrictions. The debate also touched on the urban versus rural demographic issues at play in the debate on firearms ownership and regulation. According to Chapman, rural people tend to be of the self-policing ethos, and are also more likely to own guns for non-violent purposes, including hunting and target practice. “Outside of the big cities there is a sense among people that the people in the big cities really do not understand why rural people are attached to their guns,” Chapman said.